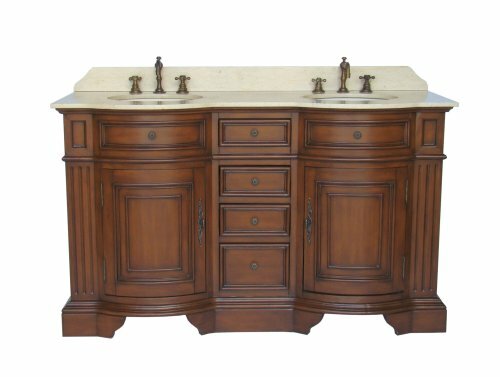 Dear Diva, I have an old claw foot tub in my bathroom that I had refinished on the inside a few years ago but now the outside needs a little face lift. I was just watching one of those home improvement shows and they said you could paint the outside of the tub? Is this true? I’d really love to paint the outside a different color but I’m afraid of attempting it and not liking the end result. Is this really do it yourself friendly? Any advice you have would be appreciated. 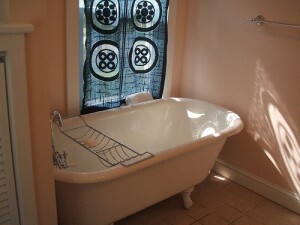 Kelly, yes it is possible to repaint an existing clawfoot bathtub and can even be done in a DIY sort of way. You just have to be good following directions, because there can certainly be a lot of steps associated with repainting an existing claw foot bathtub. First of all, what does the paint on the outside of the tub look like? Odds are it isn’t perfect and if it’s peeling, you will have to address that first before you can go any further! If the paint is peeling, it will need to be sanded or stripped off. If the paint is peeling badly you can probably just use an orbital sander and a face mask and get the bulk of the paint off pretty easy. However, if there are layers of paint on the tub then you’re going to probably have to use a paint stripper. Once you have all the old paint sanded or stripped off you can continue to the next step. If you didn’t have to remove any paint you will still want to clean the outside of the tub. I suggest using TSP or another similar product to thoroughly clean the outside of the tub. After the tub is dry and clean, you’ll need to lightly sand the surface to make sure the primer sticks. Make sure you pick out a primer that sticks to metal! After using a primer let it dry for the recommended time and then you are ready to paint. I suggest using an epoxy enamel paint as it will be able to handle the temperature variations and humidity without bubbling. You’ll want to roll the paint on and need to be careful if you want to have a smooth surface. But once it is done, if it’s done right, it will last for years to come and could be worth all the hard work! If the process seems foreboding or like more work than you want to invest into the project, then consider hiring someone. As always though, look for someone who is licensed and insured, and get references. Whether you repaint your existing clawfoot bathtub or hire someone else to, it’s a great way to be eco friendly and save some money! And Kelly, I have one last suggestion for you: if you choose not to repaint the outside of the tub yourself, why not call the people who refinished the inside? You already know they do a good job, maybe they can give you a bid or have a company they work with who paint the outside for them.